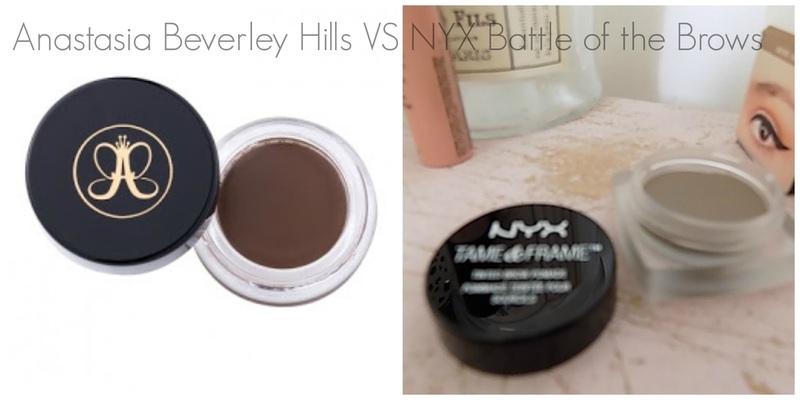 I have been using Anastasia Beverley Hill Dip Brow for some time now and have previously written about it HERE I recently got very excited to find that NYX Cosmetics are now available in larger branches of Boots, I discovered what I thought would be a bargain alternative to the famous DipBrow. On first impression I was really disappointed in the size of the NYX pot compared to ABH but we are talking about £10.00 difference. If you have ever used DipBrow you will know that it's not a case of perfection on first use, it takes practise to get the hang of this product, but once you do there is no going back in my opinion to pencil or powder. Would love to know your favourite Brow Products ? Let me know by leaving a comment.